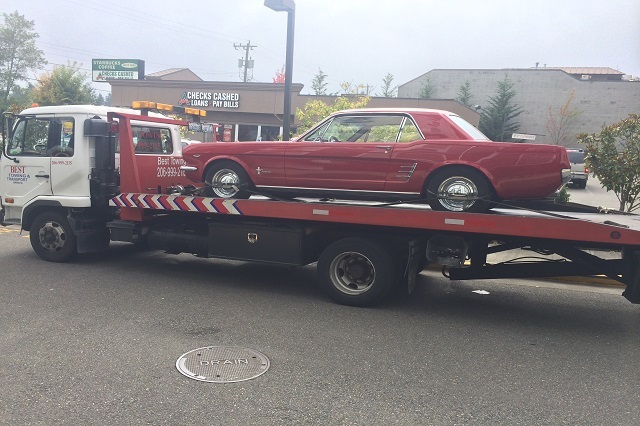 Best Towing Service in Edmonds, WA. Family owned and Owner operated towing and roadside service professionals. With over 6 years in emergency roadside rescues, towing and the recovery service industry. We proudly serve the North Seattle communities 7 days a week. We are Certified, Licensed and Insured for your total protection. Emergency roadside assistance includes tire changes, jump starts, lock-outs including professional and experienced winch recoveries (on and off road). We provide the fastest service we can to try to rescue someone who needs us and will go anywhere to pick up a vehicle and bring it back. Usually, one other person can ride in the truck with the driver, although this is handled on a case-by-case basis. The same rates apply all year long, so whether it is a holiday or weekend, you will pay the same amount. When calling for a tow, you will need to provide the location or address of where the car is, where the car needs to go, your name and phone number, as well as the make and model of the car. Flat Rate Towing (we do not charge mileage & hook up). Also provided for your convenience, is an unmatched and up-front pricing structure on all of our owing rates and services). So don’t be fooled by those so called best price towing companies/call centers, compare do some research and see for yourself how overly inflated our competitors’ prices really are. BEST TOWING LLC LOOKS FORWARD TO ASSISTING YOU IN ALL YOUR ROADSIDE SERVICE & RECOVERY NEEDS.